It was Francesca who first inspired me to mix up a batch of pesto, and while I consult her original pesto post each summer, I now have the confidence to judge the proportions according to my taste buds. 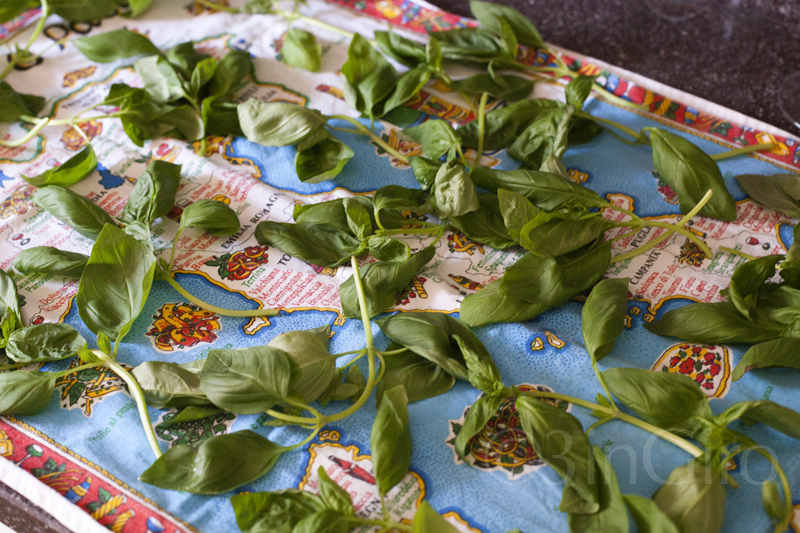 Traditional pesto is a combination of fresh basil leaves, Parmigiano Reggiano, pine nuts, garlic, and olive oil. I use Grana Padano instead of parmesan because it's the hard cheese made in these parts, specifically down the road at the caseficio in Ponte di Barbarano. This summer I never managed to get basil plants going well before the great summer stateside visit, but as soon as I returned I bought four small organic plants from a farm in Padova at my local grocery store, for less than 2 Euro a plant. They are thriving in this hotter-than-hot August heat, and I've already "harvested" enough leaves for a couple of rounds of pesto, with several more to go. We usually enjoy it with pasta (trofie) or as a savory spread on bread, and then I freeze the rest in an ice tray. 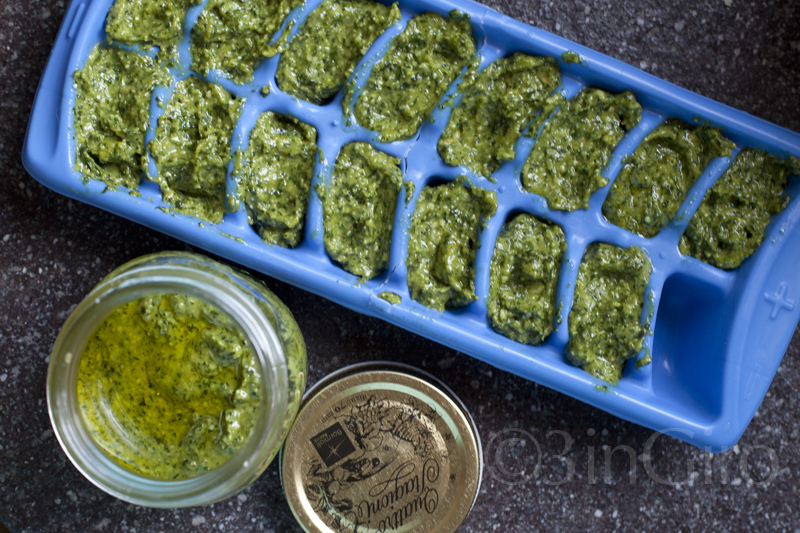 After several hours in the freezer when the pesto cubes are good and frozen, I pop them out of the tray and place them into a freezer bag: "fresh" pesto, the taste of summer, all winter long...oh yes! It also keeps well for a bit in the fridge in a glass jar, with the top layer covered in olive oil. So what are you waiting for?! I bet it would be a great addition to your summer menu as well. you know how many times I've had pesto this summer? once, in Sonoma (!). How was the pesto in Sonoma? I've never been to California!